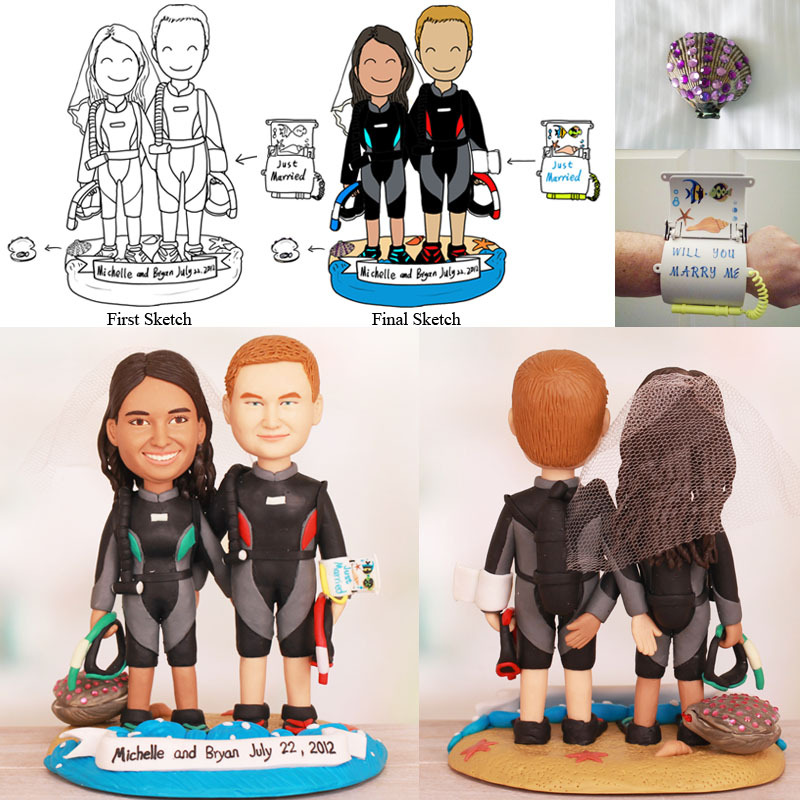 This is a completely customized scuba diver wedding cake topper with ring hidden in seashell ordered by one of our customers. 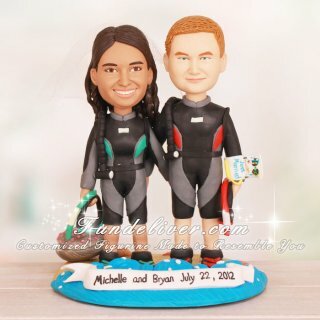 They would like a couple figurine to be in their wet suits, arm in arm, standing on a sand beach with seashells, starfish and blue ocean. The seashell is very important to them, since the groom had her ring inside that seashell. They would also like the groom to be wearing on his wrist as the picture of the "diver sign" but they want it to say "Just Married!". The groom proposed underwear in the Bahamas as they were scuba diving, 48 ft and he used that "wrist sign" to pop the question. It means a lot to them, thus they would like the diver sign to be included.